I am excited to introduce my new website to everyone. 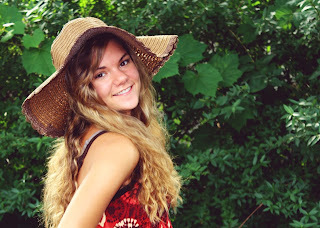 I am moving forward with my blog and online business so an official website seemed like a great start. During this process I have also switched my blog name from "Sew Much to Say" to "Sew Much 2 Say." This new name appears on my new blog header and all of my social media networks. 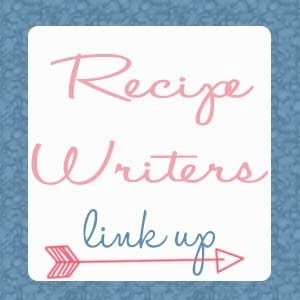 The first new segment of this blog is going to be a monthly recipe writers link up. Recipe Writers was inspired by Martha and I sending recipes to each other through the mail. It was so exciting to check my mail and have a new recipe to try. I wanted to expand this by creating a place for all of us to share our recipes and possibly find new favorites. On the first of every month we will introduce a new theme depending on the month and all share our recipes here. The link party will open on the first of every month and close on the last day. This way you will have time to share a recipe before the holiday (if there is one) so others can try it, check out other recipes to try yourself or even have time to post one after the actual holiday. For example, This month we are having Thanksgiving favorites and next month will be Christmas related. I'm excited to get started and try out everyone else's recipes! Well, first of all let's introduce the co-hosts! 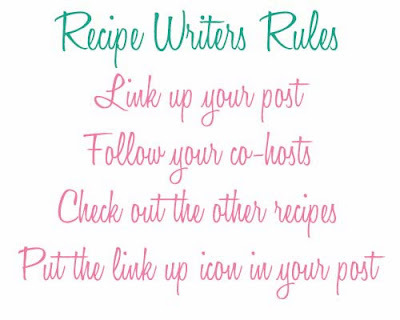 Remember, this link up is open until the end of the month and we will have a new one next month (I'll give you a hint, next month's theme is cookie-related!) starting on the 1st of the month. Make your favorite Thanksgiving recipe, blog about it and share your favorite holiday recipes with us! I'm looking forward to seeing some different recipes here! You may think my link is strange, but I always had salsas and drinks on hand to keep my father and brother occupied while I prepared the turkey and side dishes.